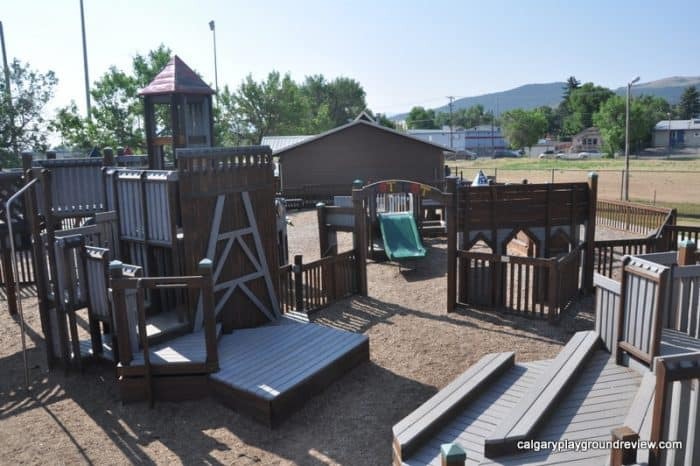 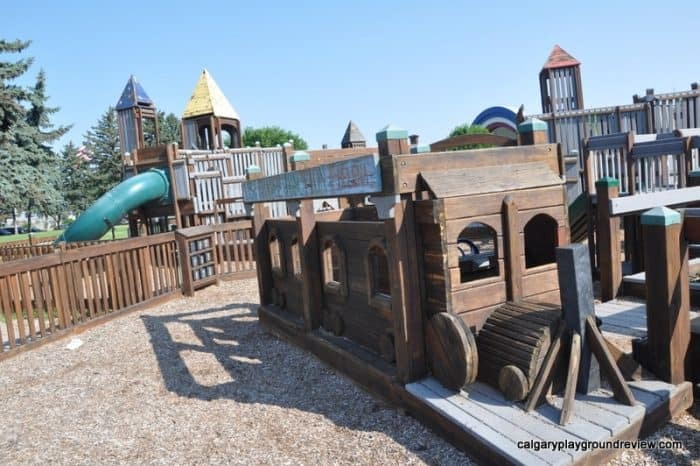 Features: Huge wooden play structure with a western theme and slides; Smaller Tot area with toddler sized climbers and swings. 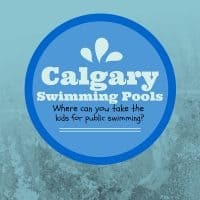 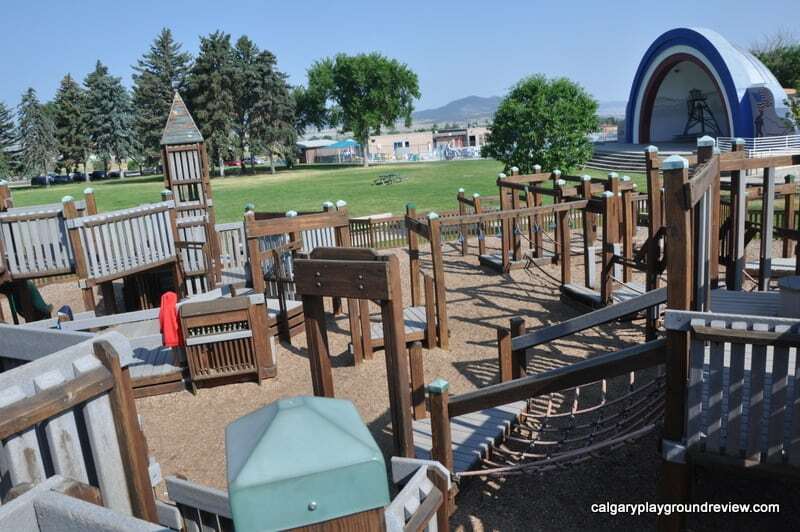 Surrounding Park Area: Flat grassy area, outdoor stage, next to Last Chance Splash outdoor pool and spray park. 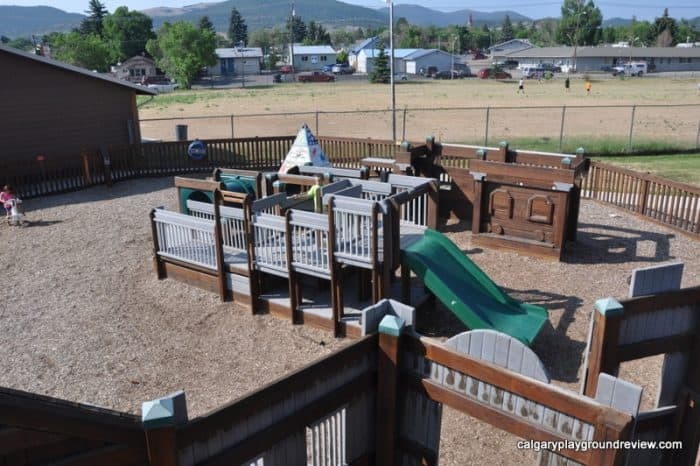 Overall assessment: This is the second playground of this type we’ve visited (the other one is in Missoula). 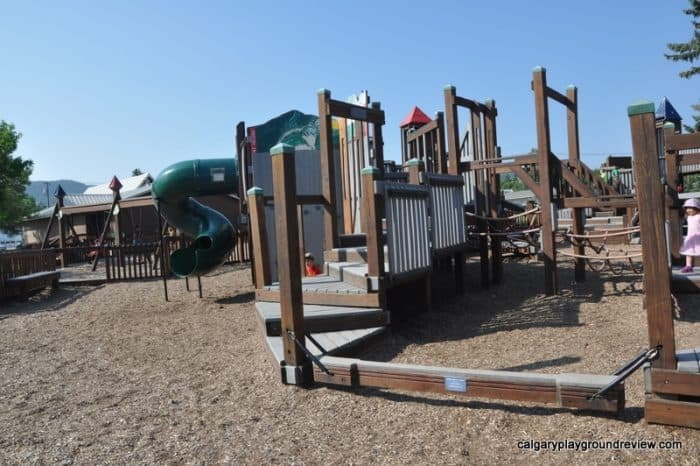 This one was still a lot of fun but in need of a little TLC. 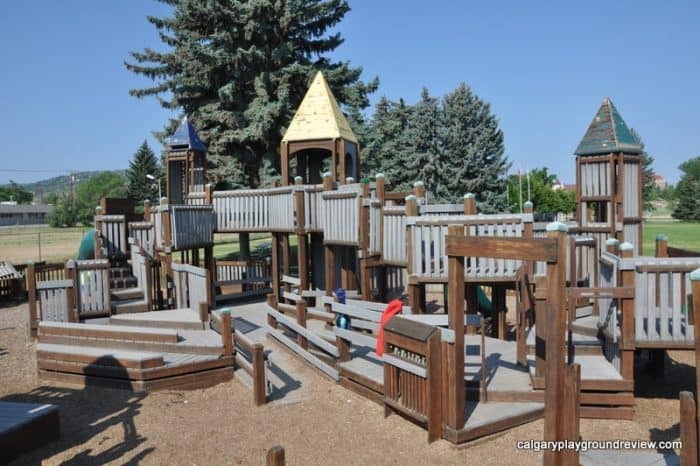 The design is very different from typical playgrounds. 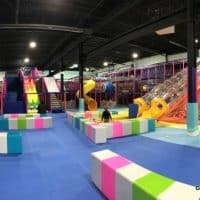 In many ways it is more like a indoor playground with lots of steps, places to explore, twists and turns and big slides to go down. 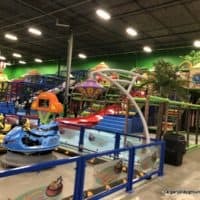 The visibility inside is poor but it’s great for playing with your kids. 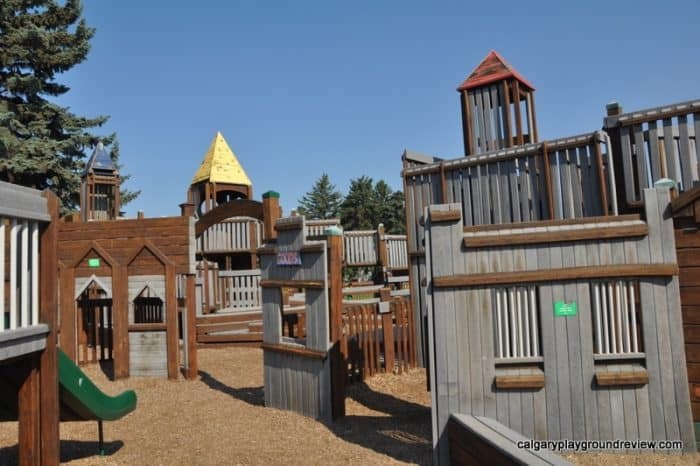 Adults can comfortably navigate most of the play structure. 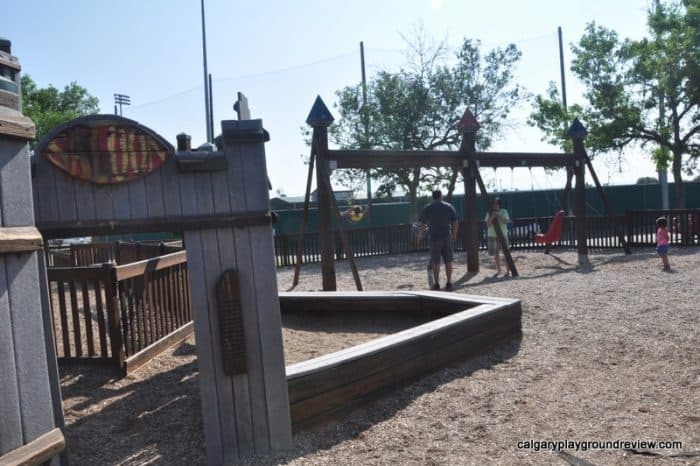 The entire play area is also fenced so there are limited exit points. 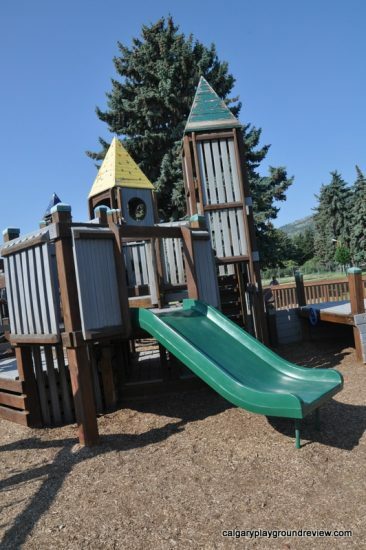 There is a toddler area as well for kids who like to be independent but aren’t ready to navigate the big climber by themselves yet. 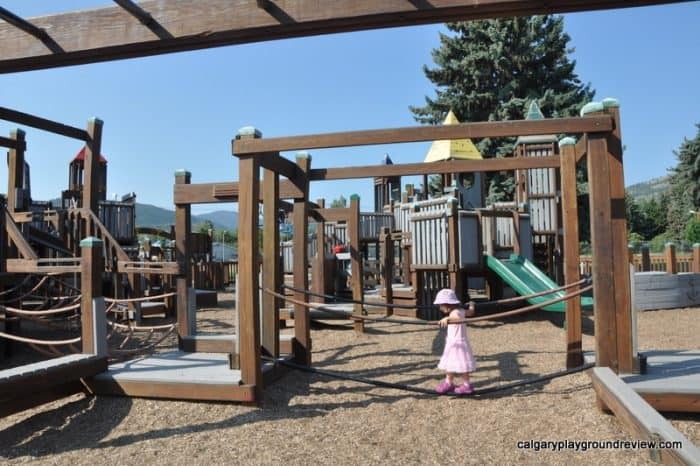 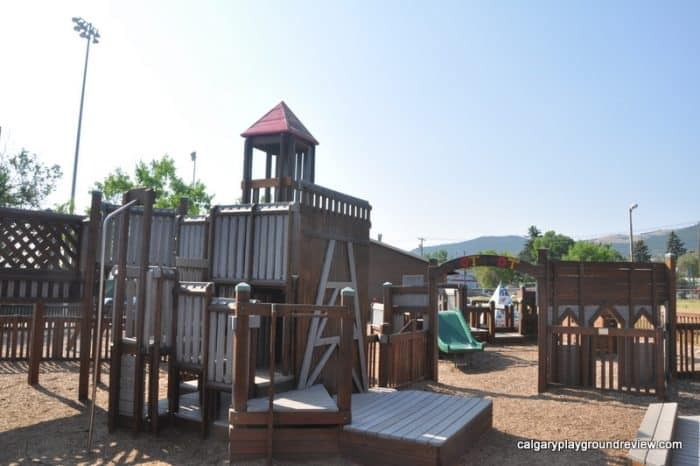 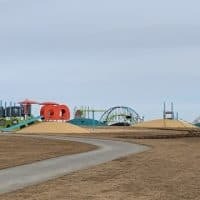 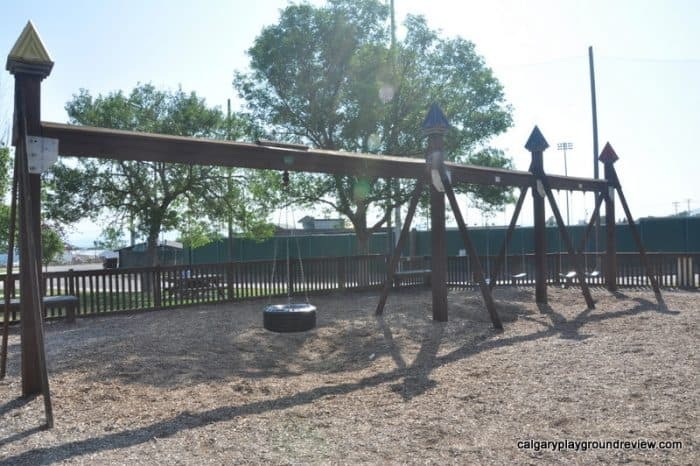 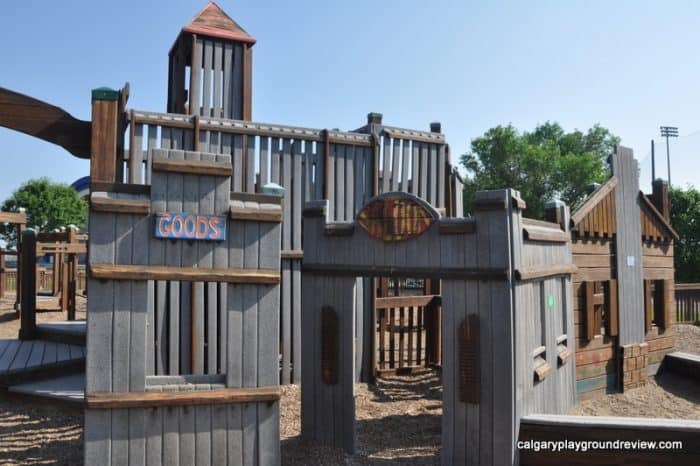 The playground is great for imaginative play and games like hide and seek.